Halloween is almost here ... and that means you have less than 60 days until Christmas! Don't panic. Hy-Lite can help. Our Craft Blocks are great for creating decorations for the homes and gifts for everyone. Plus, your children can help! Hy-Lite durable acrylic Craft Blocks come in a standard 8" x 8" square size and are each three inches wide. Each block is fitted with a 1-1/2" access hole and has a reusable rubber seal, making it easy to add items to the blocks. But, what can you add? Here are 10 of our favorite ideas! Project #1 - Fill with red and green candies. Put a bow around the block and you have an instant gift. Project #2 - Place greenery and tinsel in the block along with a strand of twinkle lights for indoor or outdoor decorations. Project #3 - Add coins to the block and a attach a wish list so your favorite person can go shopping for themselves. Project #4 - Create a memory box by adding in ticket stubs and memorabilia from a special vacation or event. Project #5 - Fill the block with puzzle pieces for a decorative room accent or to give to a friend for a gift. 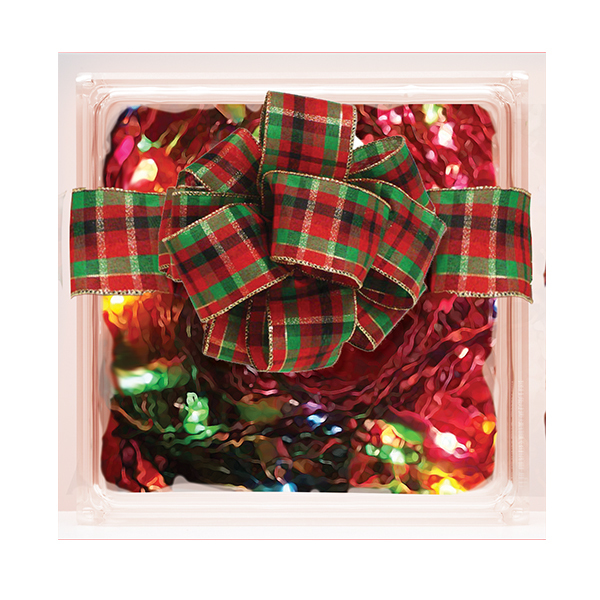 Project #6 - Add holiday scented potpourri and small pinecones to the block to create a fast, easy gift or an accent for any room in the home. Project #7 - Need a gift for an animal lover? Fill up the block with dog or cat treats and add a paw print decal on the outside. Project #8 - Have a coloring book fan in the family? Add in an assortment of colorful pencils or crayons as the perfect gift. Project #9 - Make bath time easy. Fill the acrylic block with bath beads and place near the tub for fast access. Project #10 - Hide a small gift --- like a piece of jewelry --- inside the block and fill with tinsel. Wait until the recipient sees that all that sparkles in the block isn't just tinsel!